Love it! You are so clever!!! Yes, yesterday is safe. Sometimes that's nice to fall back on. But I like the possibilities of today and tomorrow! 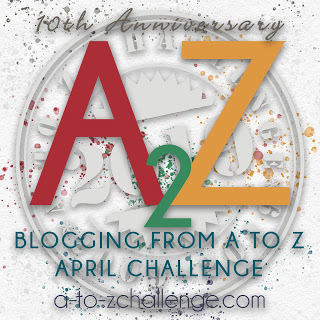 Just dropped in from the A-Z Challenge list. Love the ideas you have and the positive outlook of "Yesterday" I am a new follower and will pop back another time and read the rest of your "letters" Hope you had fun with the challenge and congrats! Yesterday can be good but I don't want to stay there. I have my eyes on now.